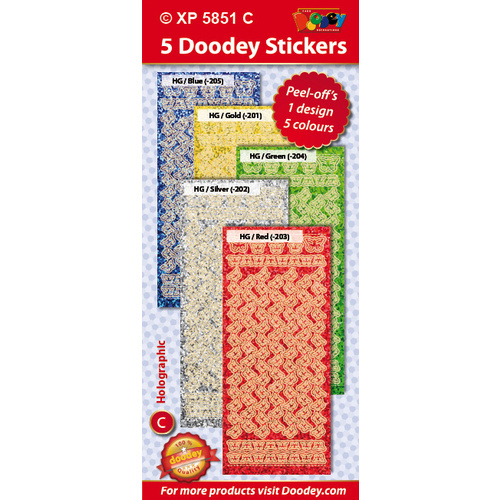 Easy to use - just peel off and stick on, these stickers can really bring your craft projects to life. Acid free makes them great for scrap books. 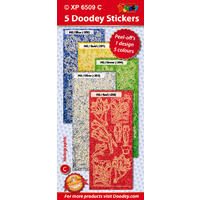 Use them on your greetings cards, scrap booking pages, gift tags and don?t stop there, they can also be used on candles, glassware, photo frame borders etc ? use your imagination and create. 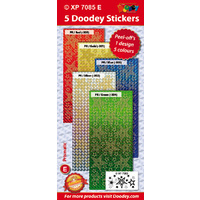 This pack contains 5 separate holographic sticker sheets. Each one has 7 borders measuring 15mmx155mm, 3 smaller borders measuring 12mmx90mm and 5 single butterflies. Colours of the sheets are: red, green, blue, gold and silver. This pack contains 5 separate holographic sticker sheets. 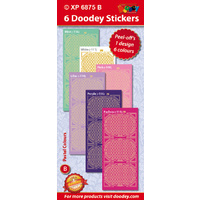 Each one has 7 borders measuring 15mmx155mm, 3 smaller borders measuring 12mmx90mm and 5 singel butterflies. Colours of the sheets are: red, green, blue, gold and silver.